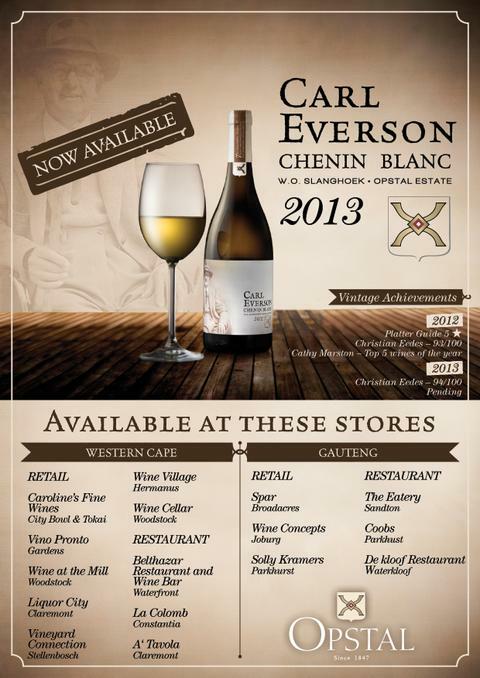 We are very grateful for the achievements of our Carl Everson Chenin Blanc wine over the last 2 vintages. 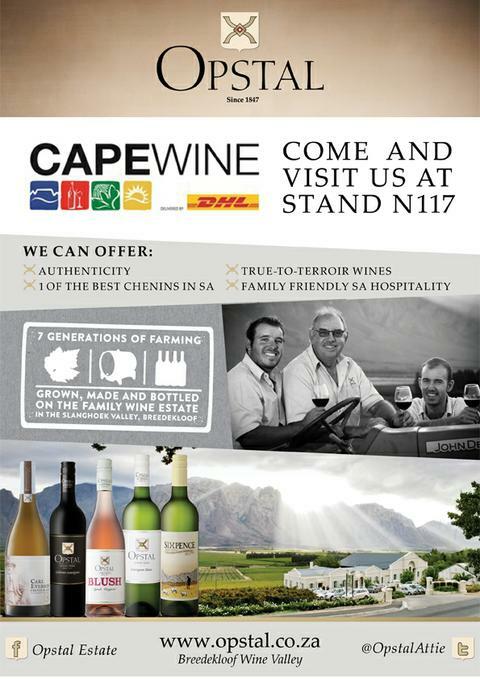 The 2013, which is currently available in the market (stores listed below), has just been voted as the Pick of the Bunch in the September issue of the WineLand magazine. The accolades we are receiving for this wine is a good and just reflection of the great site this old 34year old Chenin vines are on. 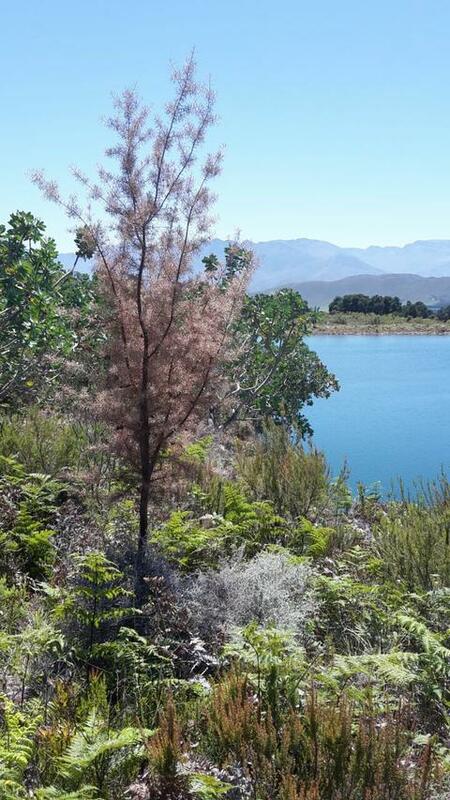 Was the magnificent Carl Everson Chenin Blanc 2012 from Rawsonville producer Opstal a fluke? Not on your life. The 2013 is, to my mind, even better – less oxidative and more purity of fruit. Honeysuckle, peach and a very subtle yeasty note on the nose. 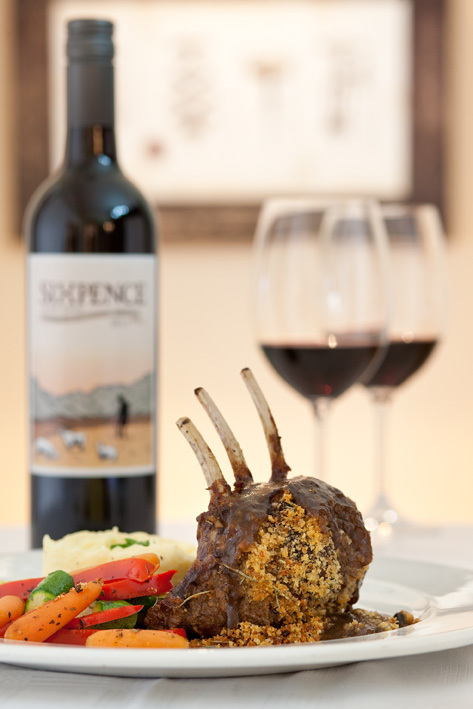 Poised and true on the palate, tingling acidity and a long, saline finish. 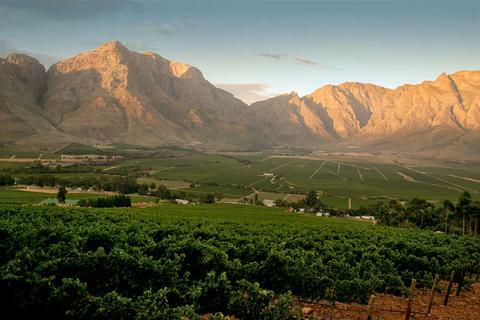 There’s only one country in the world that can make wine quite like this and it’s South Africa. Score: 94/100. 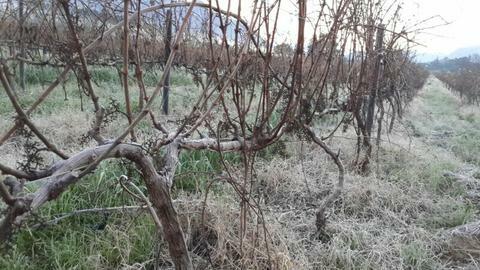 Wow - Winter was really quick on us this year… It’s the 11th of June and already we’ve had more than 300mm of rain in Slanghoek for June alone. 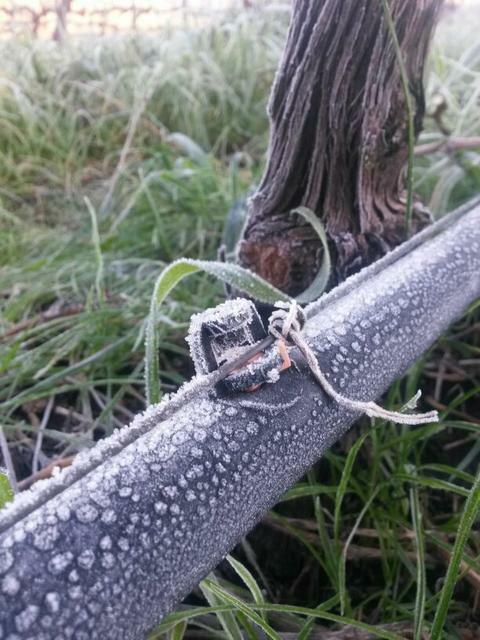 And this morning it was freakin freezin in the vineyards! 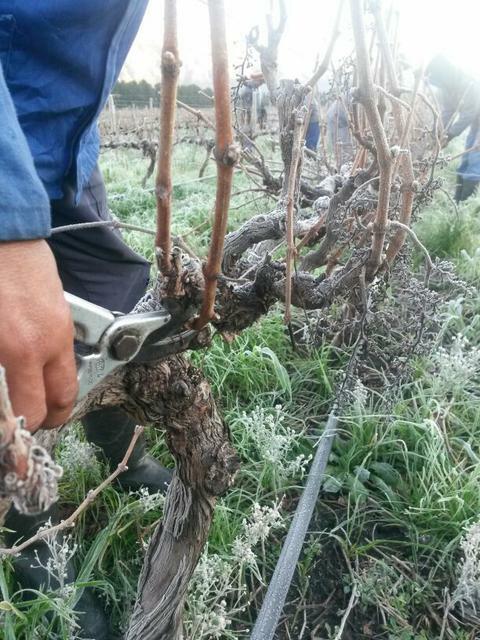 The pruning team are biting on their teeth, but they are experienced hands and get the job done no matter the conditions. We are grateful to have them as part of our team at Opstal! Our sign is up and our Conservation area on the farm is now official. 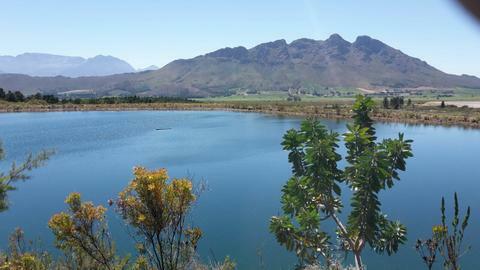 Kanolvlei forms part of the Breede Valley Alluvium, part of the unique Cape Floral Kingdom. 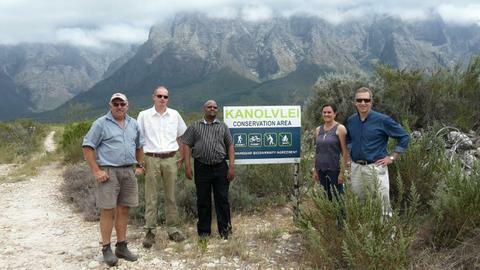 We are in a stewardship programme with CapeNature. 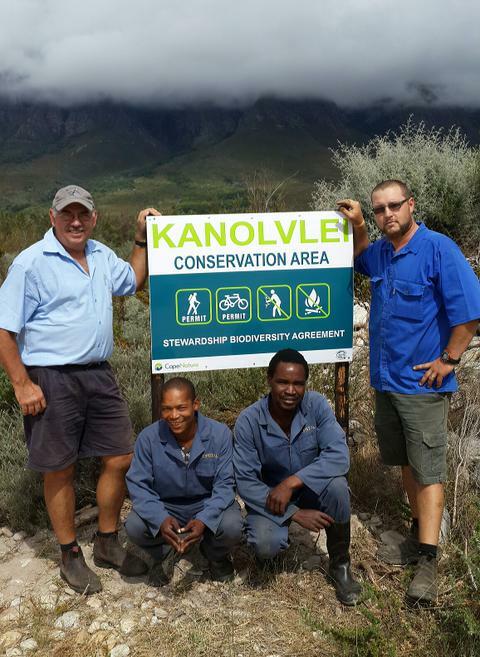 In the photo is owner Stanley and farm manager Gerhard Theron with Johnathan and Obert who’s in charge of the alien clearing program. It’s a project where they clear all the black wattles on the farm after hours (in the correct manner of course), and sell it for fire wood. 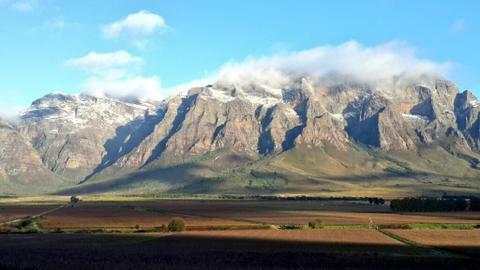 This forms part of our view and drive for sustainability and longevity in farming in the beautiful Slanghoek Valley. 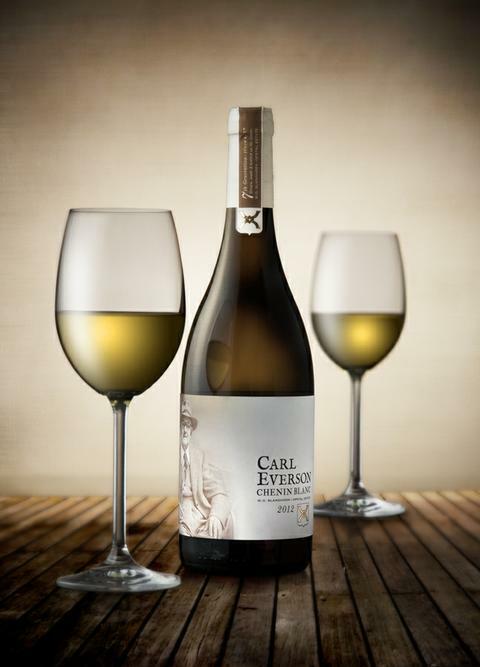 We were recently awarded our first 5-star rating for the Carl Everson Chenin Blanc 2012 in the authoritative and internationally recognized 2014 Platter’s South African Wine Guide, due for release this month. 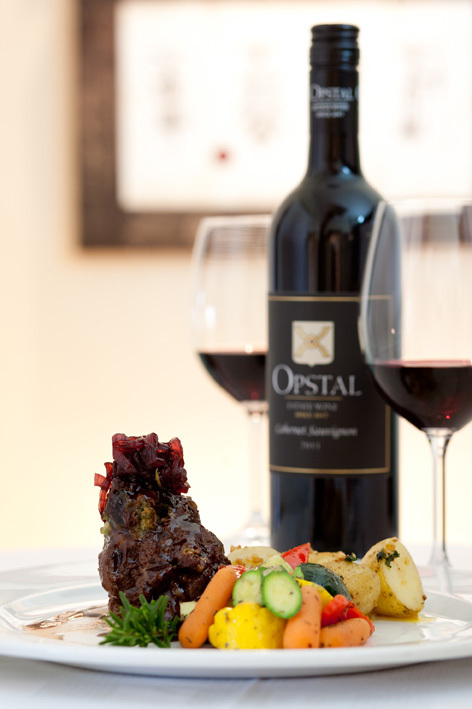 Opstal was one of 11 wineries to receive the sought after 5-star rating for the first time. 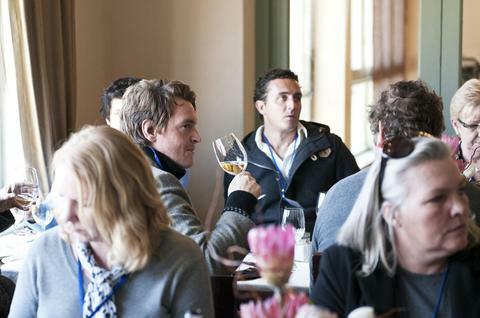 A total of 7 434 wines were judged by a panel of esteemed judges who selected 80 wines for the prestigious 5 star rating. 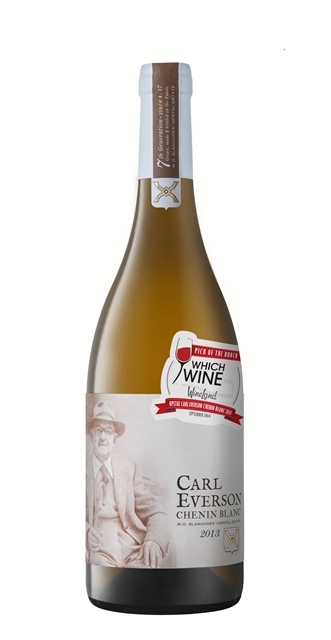 The Carl Everson Chenin Blanc 2012 is made from 33 year old vines, naturally fermented and matured in old oak French barrels with minimalistic cellar intervention, the Slanghoek terroir is brought to the fore in this Premium Chenin Blanc. The result is a wine boasting complex notes of white peach, squashed pineapple and pear on the nose, whilst the palate is well rounded due to ten months on the fermentation lees, yet a balanced acidity retains the fresh elegance of this varietal. 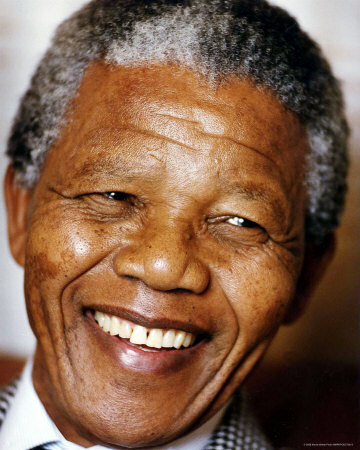 ‘We are extremely proud, humbled and grateful. 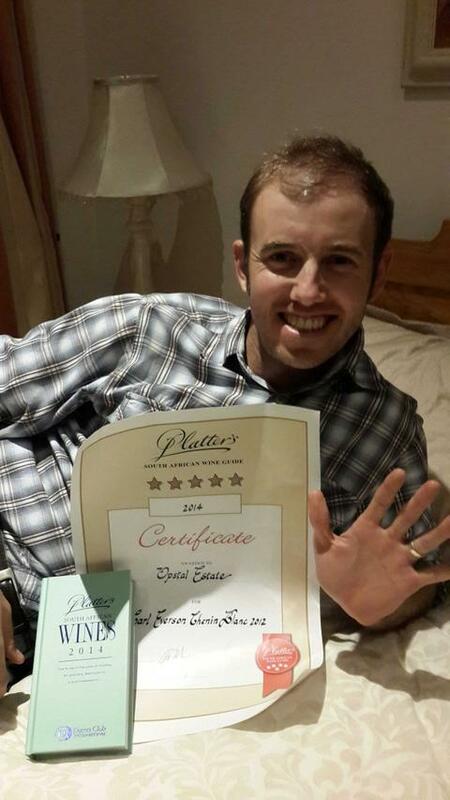 It’s is a feather in the cap of all at Opstal Estate and I view this as a big step in our journey towards the ever purer expression of the beautiful and unique Slanghoek Terroir,’ says winemaker Attie Louw, who is also a finalist in this year’s Diner’s Club Young Winemaker of the Year Award. Retailing for approximately R120 per bottle the Carl Everson will be available from 1 December at Vino Pronto, WineCellar and Wine @ the Mill, and restaurants Belthezar and A Tavola, or directly from the farm. 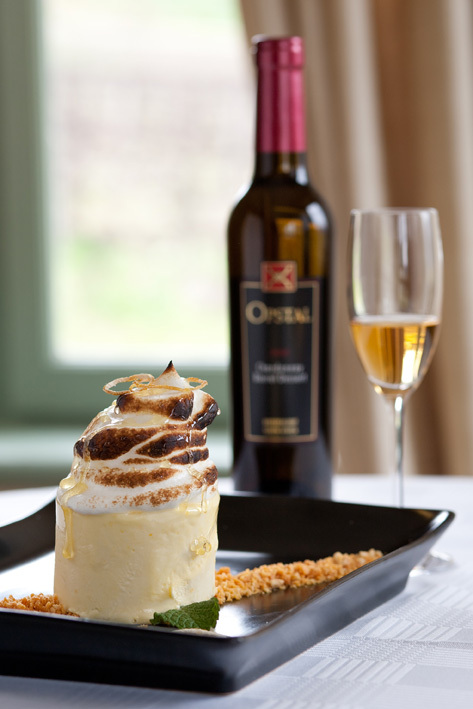 On Monday the 10th of June we launched our Heritage Range with the Carl Everson Chenin Blanc 2012 being the first addition to this premium wine range at Opstal. 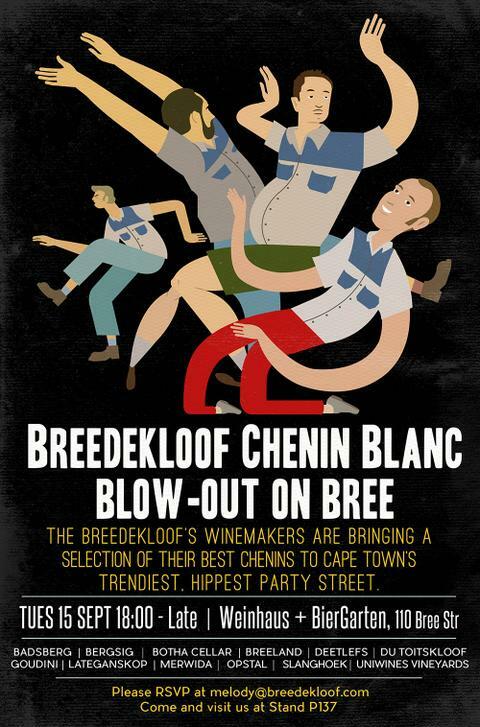 Made from 33 year old vines, naturally fermented and matured in old oak French barrels with minimalistic cellar intervention, the Slanghoek terroir is brought to the fore in this new release premium Chenin Blanc. 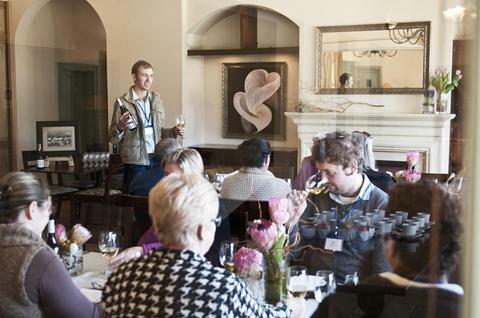 We had wine media guests and friends attending the event. Among them David Sadie (Swartland Independent winemaker who helped out winemaker Attie with this wine) and the guys from Fanakalo who designed the label. In the backroom staff we had La Colombe sommelier Ewan Mackenzie who helped with the setup of the menu for the day, keeping in mind what works best with the Chenin and then he also helped in the kitchen with all the prep work and execution beforehand and on the day. 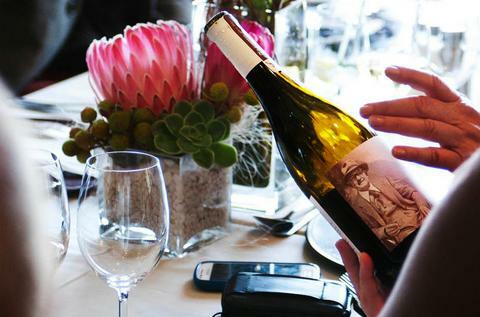 For more info on the wine and the story behind it, visit our Heritage Range page. What a holiday season we’ve had at Opstal Restaurant this past 2 months… We have seen an increase of 30% in visitors/diners to the restaurant compared to the previous year. What a pretty site it is to see so many new faces visiting our valley. The most popular dish proved to be the Lamb Shank and with compliments streaming in, management, the kitchen staff and waiters have lots to be proud of! And with harvest season and a whole bunch of weddings on the estate approaching we are again preparing for a busy period on the farm. 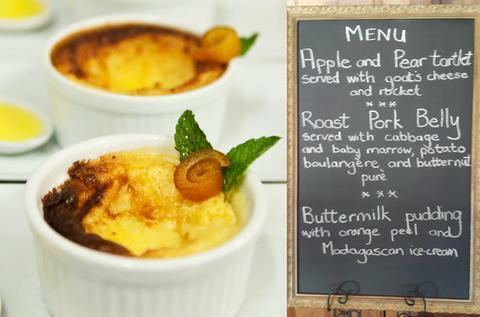 With dishes like these below, no wonder people are gunning to get to us. 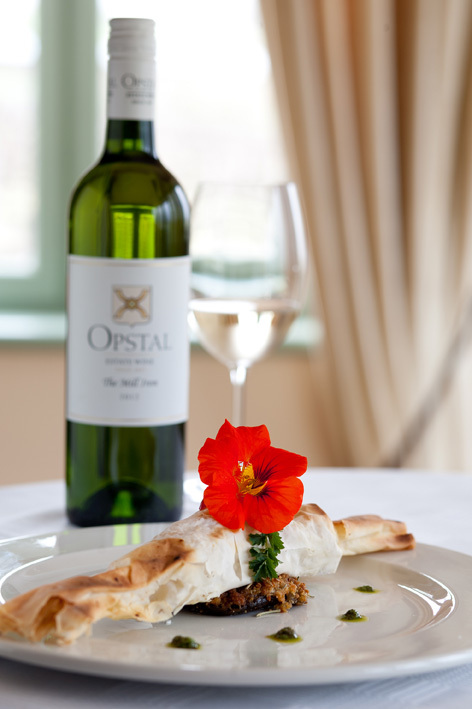 Call us on 023 344 3001 or email restaurant@opstal.co.za to make your booking! 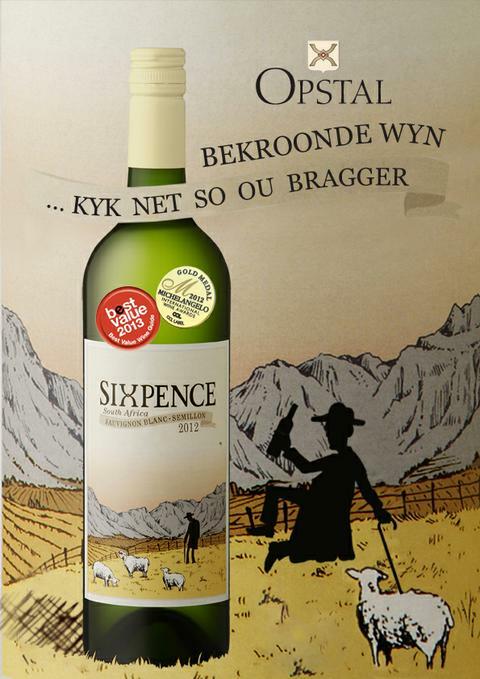 Last month was great for our 2012 Sixpence Sauvignon Blanc/Semillon wine. It lived up to it’s over achieving reputation in walking away with a Best Value Guide Award as well as a Gold medal at the International Michelangelo Awards. We are very proud and it seems even old Sixpence is jumping for joy…! More proof of the quality in Sixpence…? 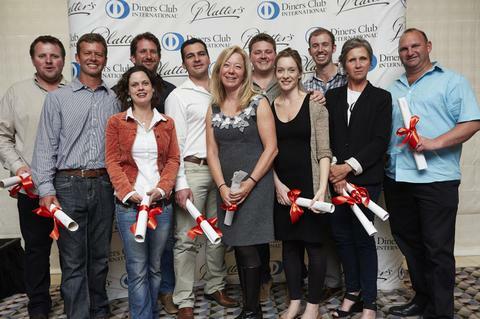 See the testimonials by the guys and girls who know their wines. 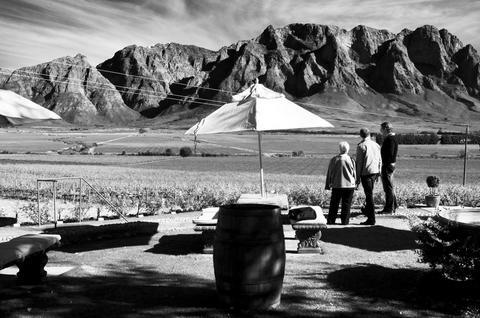 Our winemaker, Attie Louw recently featured on the airwaves - in an interview with Michael Olivier on Fine Music Radio 101,3fm on his program - Talking Wine. They talked about all things Opstal, with some great insight into our new white release - The Mill Iron. So to help all of you doubters out there to get into the World Cup fever and further encourage the believers to strengthen their voice – Opstal will give away 60 bottles of wine for the 30 days leading up to the kickoff of the Rugby World Cup. But wait, there’s more… at the end of the competition a Grand Prize will be awarded to the person with most correct entries during the 30 days. For more info and to take part visit our Facebook page. 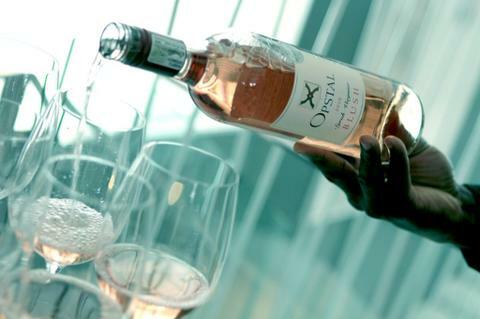 Opstal’s popular dry Blush (made up of 77% Syrah and 23% Viognier) was used at an event in Cape Town to raise funds for CANSA. The event was put together by Dr. Eve (Marleen Wasserman) and was hosted at the 15 on Orange Hotel in Cape Town on the 30th of October 2010. The theme was pink (that being the colour that symbolises breast cancer awareness) and all the food and drink served were pink. 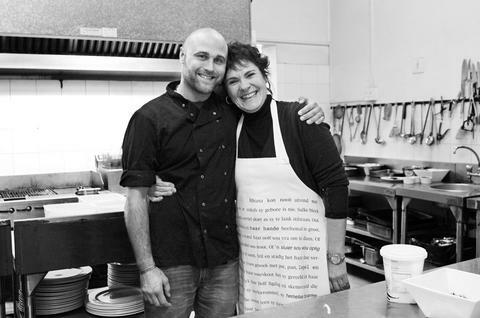 According to the project facilitator, Sally Mellish, the Blush for CANSA evening was a huge success. We are proud to have been able to be a part of this great event. We received a golden Michaelangelo medal for our Chardonnay Barrel Dessert wine!